Hello everyone. I just joined this site in the hopes to meet and make a few friends. I've been a believer for many years and I'm also a Veteran who proudly served our country with honor and distinction. May the Lord bless you all. Megenta and Danja, thank you for very much for the greeting. Have a blessed day. A warm welcome to you and nice to know you. God bless you and thank you for your service. My 2nd hub, now in heaven, was in the Seabees. I was in the Army for a month then bailed, just wasn't for me. Thank God I got an Honorable Discharge, PTL. And your war now is not against flesh and blood. 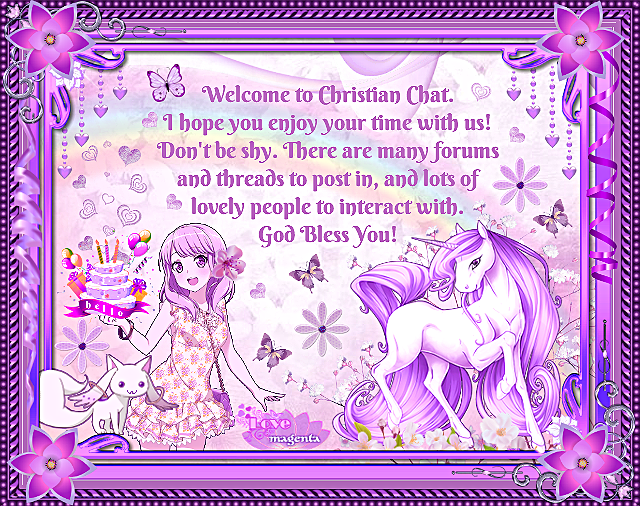 Welcome to Christian Chat! God bless! Hello E6warrior, welcome to CC. I hope you will enjoy your stay here and thank you for your service.